Packing can be a hassle, but with help from GOODFELLAS MOVING COMPANY, you don't have to worry about doing it all yourself. We offer full packing services that make it easy to pack up your belongings just in time for your move. Not only that, but we sell an assortment of essential packing supplies to make your move even easier. Services are available to customers throughout the St. Louis, Missouri, area. 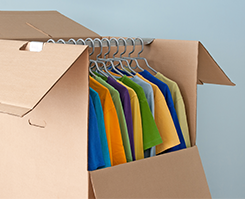 Whether you're packing up one room or an entire house, we can help. We have all of the supplies necessary to pack up the largest of jobs. Our supplies are available at very affordable prices and include everything from small boxes to moving pads. We will purchase at full price any boxes that you bought ahead of time that you don't end up using. In addition, we can dispose of any used boxes after your move. If you need help unpacking your belongings, we can also assist with that.